Last month, I had the incredible opportunity to participate in a panel at the 62nd annual United Nations Commission on the Status of Women. The theme of the presentation and conversation was “Which stories get told, and by whom, is central to achieving gender equality,” and each of the panelists came at the issue from a different standpoint. We had Rachael Denhollander, the gymnast and #MeToo survivor who broke the Larry Nassar case with a female reporter from the Indianapolis Star newspaper. Her speech wasn’t so much about her own court case, but rather about the fact that the many documented complaints about Larry Nasser, over a 15-year period, were routinely bypassed by all the male reporters that saw it. She recognized that this case would in all likelihood, only be pursued by a woman. Thus, it was only when a female reporter pursued yet another complaint, that Rachael Denhollander got involved. MarySue Heilemann, associate professor at the UCLA School of Nursing, pointed out that the way nurses have been represented in media, particularly in television and film, has brought down the numbers of people presently applying for nursing school to dangerously low levels. The recent representations of nurses in media have almost always been sexualized, fantasized, or demonized. All you have to do is remember M.A.S.H, or Nurse Ratchet in One Flew Over the Cuckoo’s Nest, or our recent Nurse Jackie to see her point. 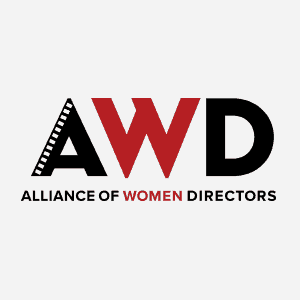 Lenora Lapidus, director of the Women’s Rights Project at the ACLU, informed us of the ACLU’s investigation into the endemic discrimination against women directors by Hollywood studios. The ACLU’s investigation got the federal government involved through the EEOC, who began an investigation of their own. Word now has it, in the near future EEOC will be pronouncing their findings and subsequent penalties against the studios. When I got up to speak, I began by stressing the point that the lack of employment is not the sole reason for the Alliance of Women’s Directors outspoken advocacy, but rather we also want to address a more serious problem that goes back to the central theme of this panel, the importance “of which stories get told, and by whom.” There is enormous importance of seeing role models in molding ones’ aspirations. The feeling of being invisible, of being alone in the world, is created by rarely seeing images that reflect you or your life. We want to change that but can’t do it alone. With a Call to Action, I reminded the audience that they can influence the studios by voting with their feet, as well as making their opinions known through the use of the internet. After listening to my fellow panelists and attending other panels, I was struck by the infinite variety of ways this issue affects women on a daily basis, and the enormity of this unseen impact. I was deeply honored to be part of United Nation’s Commission on the Status of Women and will continue to work toward gender parity knowing that there is an international community standing alongside us. I urge each of you to select and do one of the Calls to Action, for it will be our collective actions that bring change. BRAVO JENNIFER! Thanks for being such a strong, important, supportive voice for us all! Great job!! We need this so bad. Thank you so much for being our voice. Thank you, Jennifer, for your well written and on-the-nose account. You are a tireless inspiration.